Fortnite Season 7 is almost over, which means time is running out to unlock the exclusive Snowfall Skin. Fortunately, the week 9 challenges are more interesting but they’re also more difficult too. Don’t worry, we have them all listed for you below, along with guides on how to complete the hardest ones. 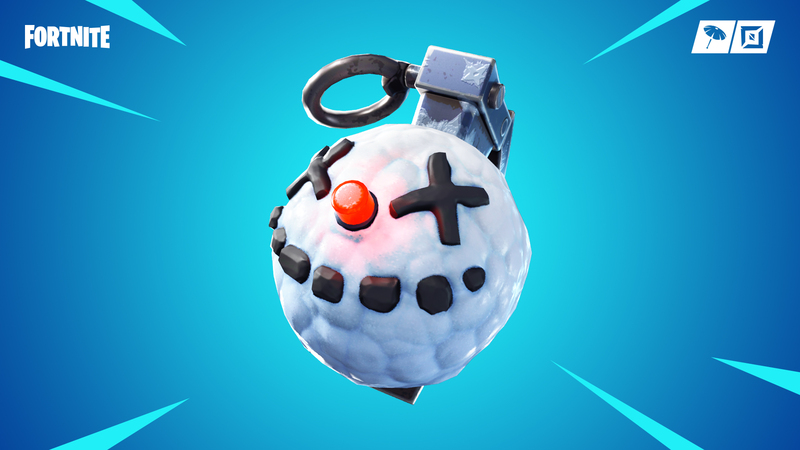 We love the new addition of the Sneaky Snowmen to the game! Are they effective? … Sometimes. Are they silly and fun? Yes, absolutely. Completing a challenge using that item will be a bit goofy, but the task is straightforward enough. The two toughest tasks this week are finding the golden balloons and the different dance locations. Check out our guides below for how to complete those two challenges fast. Golden balloons are all over the place this week, and you can find them hovering just above head height. Check out the map above to help locate them. 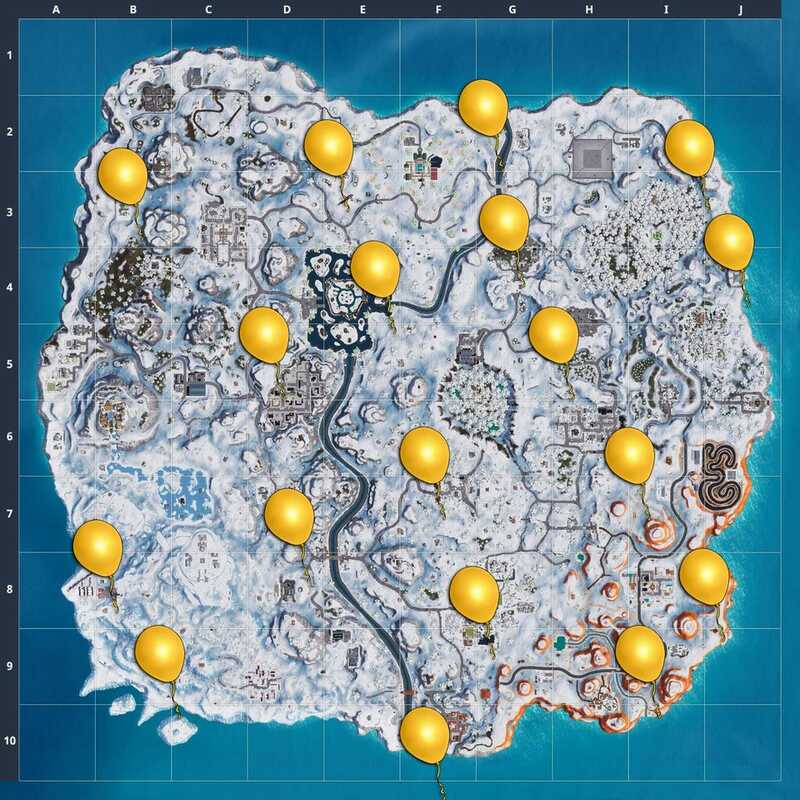 Not all of the balloon locations are on the map, but it’s more than enough to complete the challenge. The sundial you’re looking for will be towards the edge of Fatal Fields, by a portion of the map that gets a lot of sun: Paradise Palms. Keep in mind, this isn’t any ordinary sundial. Instead, it’s two station wagons propped on top of each other, one with a telephone pole nailed to it, that are merely functioning like a sundial. 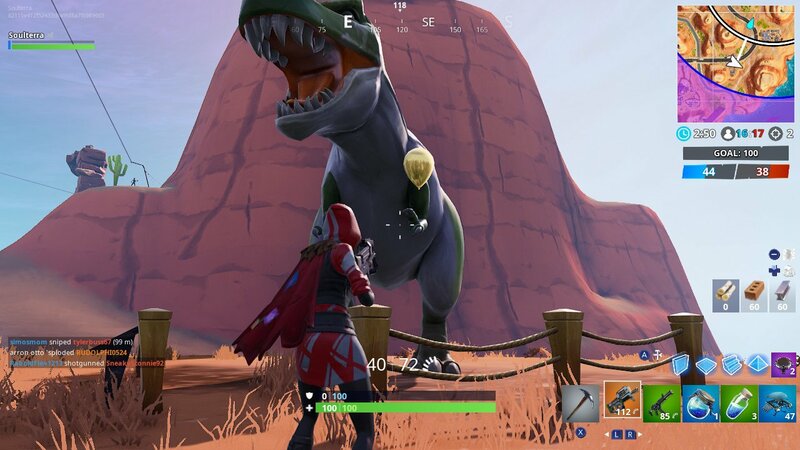 You may have seen this giant cup of coffee before because it’s right outside “Dusty Diner.” If you’re not sure where this is, head to the structure just north of where it says “Dusty Divot” on your map. This oversized dog head made of metal is in the only logical place you might expect it: Junk Junction. While you’re there, try completing the shotgun elimination challenge – the close-quarters there are perfect for it! That wraps up the challenges for Week 9 of Season 7. Let us know what you think of this week’s challenges in the comments below. Also join the discussion on our social media accounts: Facebook,Twitter, or Instagram.